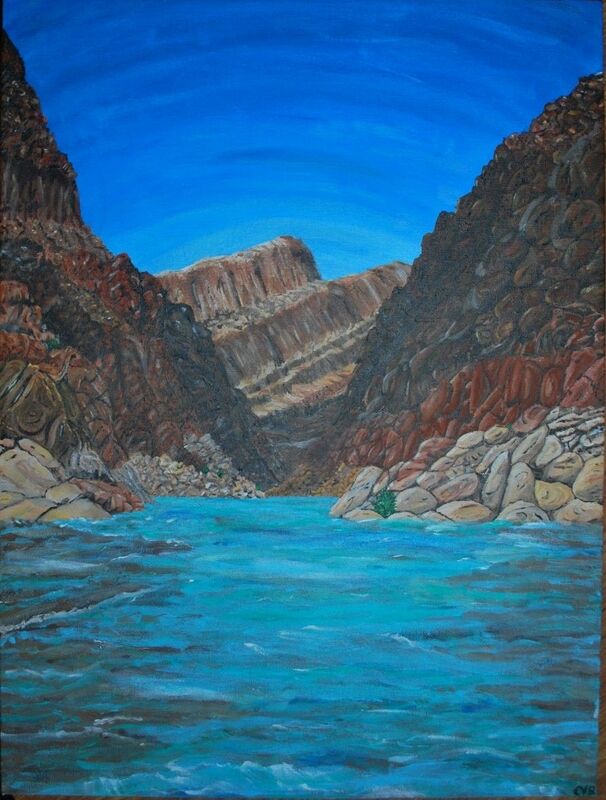 This is the second painting in my planned Grand Canyon series, and is the largest of them, at 18" x 24." 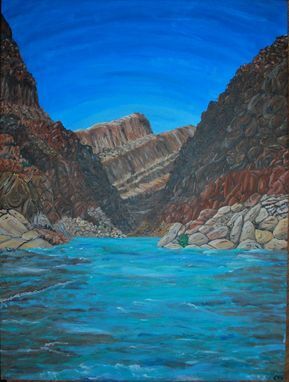 I tired to capture the power of the Colorado river in this piece, which is not placed and smooth like the earlier. 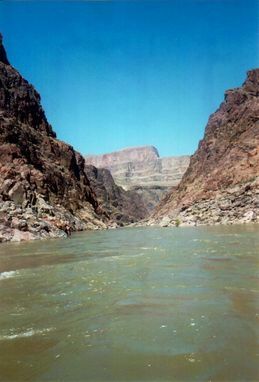 It is also more barren in this part of the inner gorge, where rock, water, and sun make up the lion's share of the landscape; the rock, carved by aeons of water, reflects the sun in a myriad of different directions, enlightening the viewer to the deep span of time covered within the rocks. At the bottom, here, we are looking at Schist and Granite from the precambrian, while in the distance, coconino sandstone caps the rim which is around the bend. 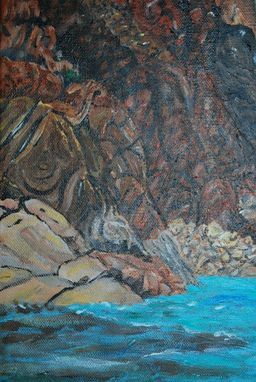 This painting is also brighter, having been painted to show the canyon at midday, versus the early evening as seen in "World without End."